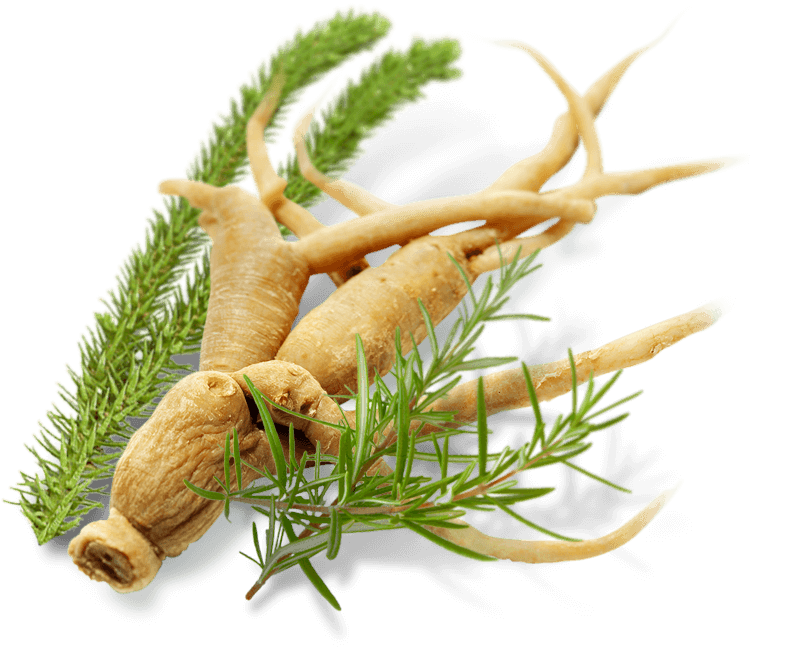 Boost your memory and cognitive functions. Increase your brain energy and focus levels. 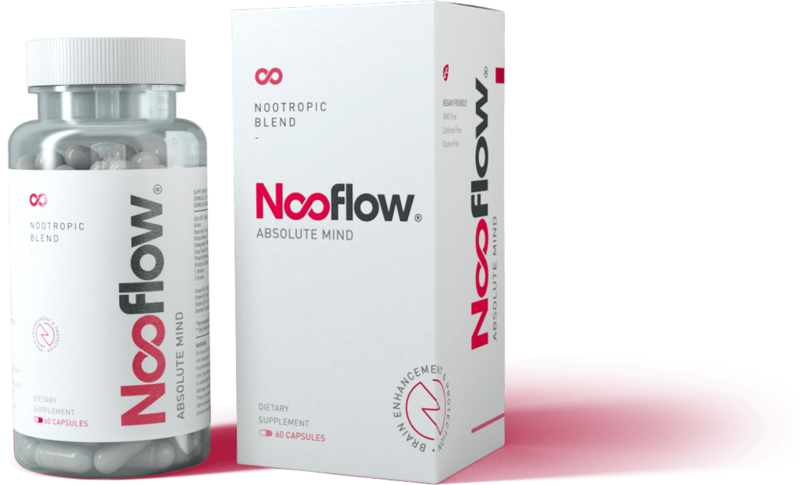 Experience the neuroprotective properties of NOOFLOW®. Get a giant boost of positivity towards your mood and general well-being. Feeling too tired to deal with your daily activities as you'd like? Are you feeling like you're on the edge of your mental and physical capabilities and need an extra boost? 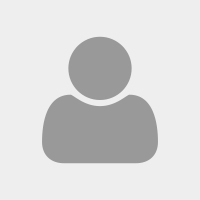 Nooflow® provides substantial support for your long-term and working memory. It elevates your ability to learn and process new information. By taking your daily dose of our premium nootropic blend, you can experience levels of concentration and focus like never before. 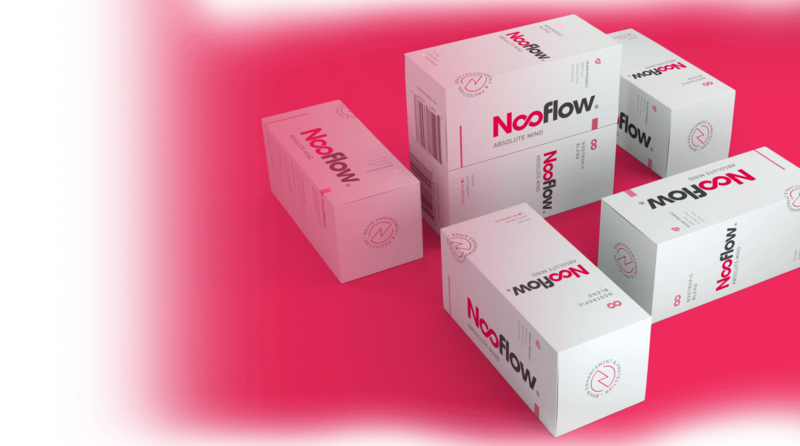 With Nooflow® you can improve your performance at work projects, exams, during exercise or simply your social skills due to its specially designed formula. 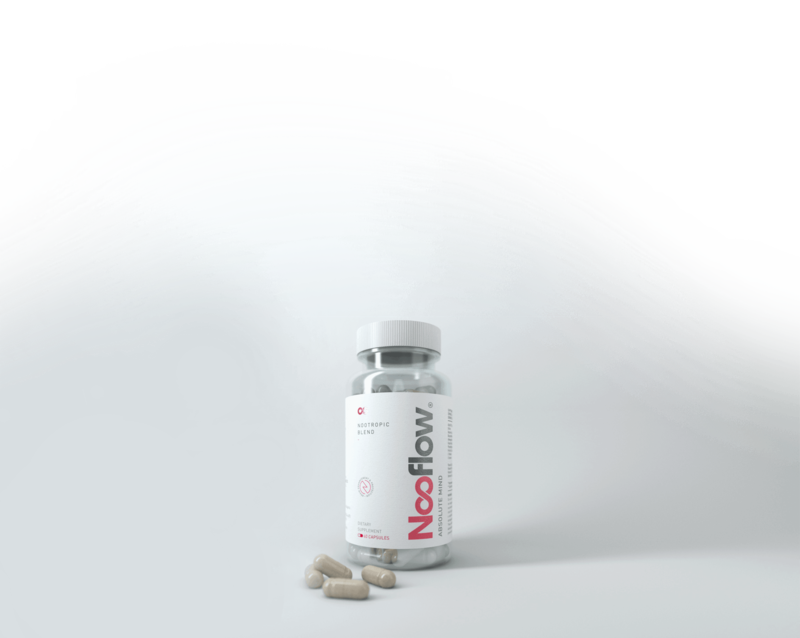 Additionally, Nooflow® promotes better mood, combats high-stress levels and works as a powerful antioxidant. 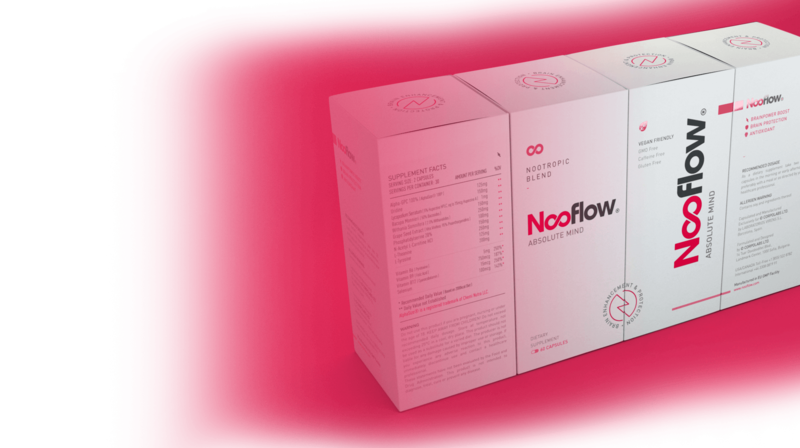 The benefits of Nooflow® go beyond improving specific capabilities of the mind. 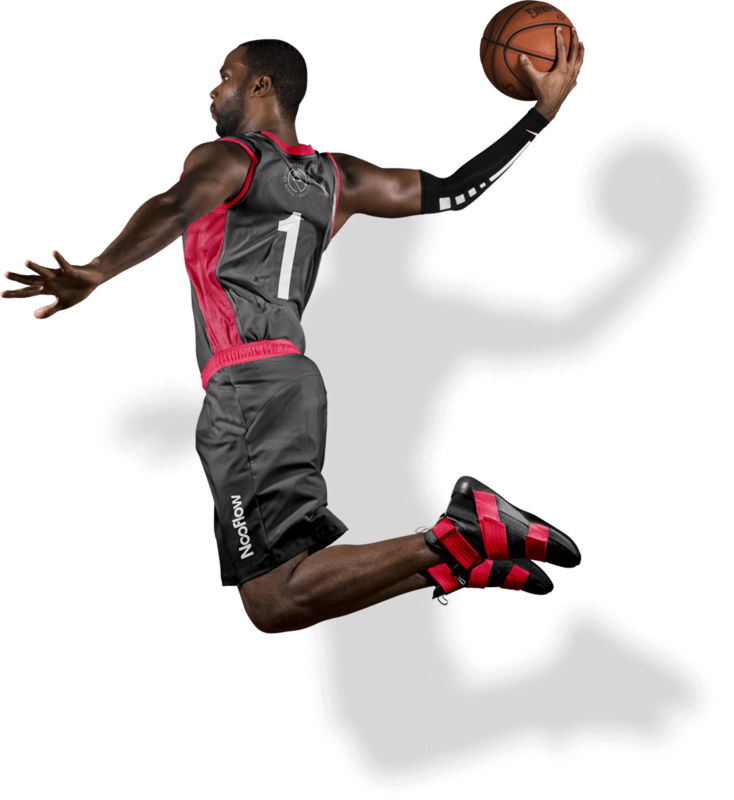 It enhances your physical performance as well as your subjective well being. It can help you excel in all areas by overcoming the physical and mental boundaries. 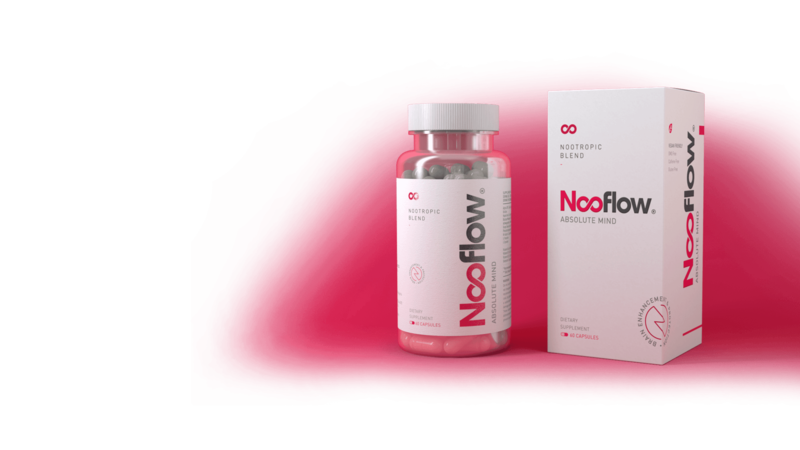 Nooflow® consists of a total of 14 ingredients, specially selected to activate your brain, improve mental capabilities and promote general well-being. We combine some of the most potent natural nootropics, herbal extracts, essential vitamins and minerals to create the best nootropic stack available on the market! Mental capacity and energy are essential each and every day in your life!